On this fairly opinionated episode, I discuss my thoughts on “cheap” gear, advertising rates, audience numbers and who your podcast’s intro should serve. Cheap gear is not the same as affordable gear. One I have a problem with, the other I do not. gear you want to avoid. Affordable gear, is something that works well at a budget friendly price. And that kind of gear I recommend often. 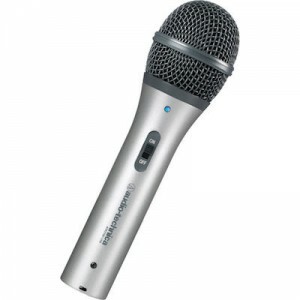 The best example of gear that is budget friendly yet performs at a professional level would be the ATR2100 microphone. I love this mic., because it’s less than $60 and the sound it produces can compete with microphones that are five times as much. It’s built well but it’s not perfect. I have seen the USB connection go back but the good news is it has a lifetime warranty so there is little risk to getting this microphone. This is a great piece of gear that a beginning podcaster can buy and instantly have the capability to produce professional level audio. I cover a lot of gear on this show and many people would not consider a lot of it to be affordable. This is true, it’s not compared to the ATR2100 but it is a lot less money than a lot of other professional gear that I myself have never used. The Heil PR40 is pro level microphone (built very well) and sits in the middle of the price range for microphones. This is gear I would not consider affordable by most podcaster’s budgets but it is affordable compared to many mics that cost one-thousand dollars or more. 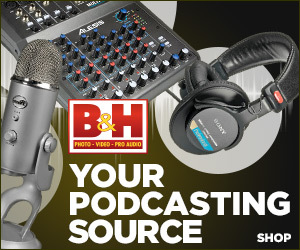 So there is definitely a continuum of podcasting gear and while I use a lot of different gear on this show, I fully support any setup that produces good quality while allowing you to start your podcast without having to save up a bunch of money. As an example, I recently worked with someone who already had a Blue Yeti microphone and had used Garageband. These would not be my first recommendation for gear and software but I also knew that I could produce great sounding audio with each. So we set her up with the gear she already had and her recordings sounded great. The key to getting started in podcasting is to actually start. Don’t let the gear stop you from getting your show started. Invest, at a minimum, fifty dollars (if you don’t have useable gear already) and start recording. You can grow your gear, if necessary, as you progress in your podcasting journey. I’ve heard it said that ad rates for podcasting are declining and to that I say, so what? My question to you is are you really interested in fighting for a small piece of an apparently shrinking pie to then have to serve two audiences, your listener and the sponsor? You’ll end up making a preset amount determined by a third party that you have share revenue with. 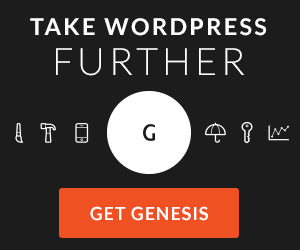 Is getting a Squarespace (SP) ad (nothing against SP btw, in fact I like them more and more as a hands off approach to website management and even podcast media hosting) the end goal? I chose SP as an example because they are a prolific podcast advertiser and in fact I praise them for supporting and believing in our medium early on but to make money with that kind of advertising (cost per thousand downloads CPM) you’ll need a very large audience, not something the average podcaster has. Do you want to take ads that pay you $20 an episode (and that is probably higher than you’ll get) that you spent 4 plus hours making and now have to interrupt your content to ask for what will amount to pennies when you add up time spent to revenue made? I’m not downplaying the value of any amount of money but you should think about the return on your time investment (ROTI) and how you’ll have to change/interrupt your content to serve a sponsor that if you’re lucky will barely pay your hosting fees. And of course that ad has another serious side effect, it will affect your listeners experience. While it does matter to me what rate a third party network is able to negotiate from advertisers, it concerns me less when it comes to the majority of podcasters and what is best for them. The overall health of our industry is an important factor in ad rates but if a network is getting a fair price for the podcaster, then they are failing to do their job because they know how powerful a podcast ad can be. They shouldn’t let the advertisers to “cheap out.” It’s lazy and hurts the podcasting space. Regardless of what happens with ad rates, podcasting isn’t going away. You’ll always be able to record your voice and/or image and put it online for people to consume. That said, while some board of higher ups decides what ads rates Coke and Pepsi will pay, the average podcaster, those who receive less than 200 downloads per episode, the median as defined by Libsyn stats, will not be able to monetize their show in any way that I see is fair to the podcaster. CPM, even good ones, are usually just a bad return for the podcaster. So that conversation, declining ads rates, while interesting to me from an industry perspective carries little weight in respect to what I think is probably in the best interest for the majority of you are listening to this show. In other words the sky is not falling cause we don’t breathe the same air as those shows whose income relies on the ad rates of Fortune 500 companies. I’m confident enough in the power of podcasting that I think the best way forward for a podcaster that wants a sponsor is to get it themselves. 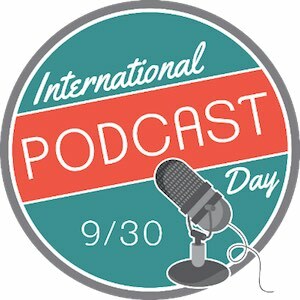 You might recognize the term power of podcasting from Dave Jackson and School of Podcasting and I use that term very specifically because of Dave’s great interview with Glenn the Geek who has an entire, profitable podcast network based on horses. This is a must listen interview for anyone who is thinking about taking a serious run at monetizing their podcast. Glenn has the right approach to podcast sponsorship and if he can make a living with podcasts about horses so can just about any niche in podcasting. If you want sponsors that will work for you, your audience and the sponsor, you have to go out and establish that relationship with a highly trusted and targeted business. The way you curate an audience is the same way you’ll build a relationship with a sponsor. And I purposely use the term sponsor instead of advertiser cause I feel like a sponsor should be something based on a relationship with you and your content as opposed to something that is just injected into your content the way a lot of people want to make advertising. A sponsorship needs to be one that is good for you in terms of money paid versus time invested. And the rate should not be determined by trending rates paid by corporations advertising on blockbuster podcasts (those getting millions of listens, the 1%) but on the trust and authority you’ve established with your audience. Your word carries a lot of weight with your subscribers and that needs to be highly guarded. A truly beneficial sponsorship will not by generic ad rates because the message will not be generic. It will be highly curated by you and your audience will depend on you not to stear them wrong. When this is done right, the sponsor will have no problem paying a price that is worth your while because they will see the benefit of podcast sponsorship. I’ve also heard lately that as a podcast, you’re “only going to get so many downloads.” As if to say you are limiting yourself in a way that is detrimental. Well, how many downloads do you really need? Is the goal to get greedy rich? Or would you be happy to maintain your current standard of living? Maybe you just want to support your hobby, to cover the costs of hosting, gear upgrades, travel to events etc. Check out Podcasters’ Roundtable – Round 64 – The Podcast that Pays for Itself for a conversation about getting started with monetizing your podcast. If there is a ceiling, a number you can reach where your show will no longer grow, your only concern should be to try and find it! That would mean you have everyone who wants to hear or see your content and that is a great “problem” to have. It doesn’t take hundreds of thousands of downloads, not even tens of thousands, to be a profitable podcast if you are just trying to make reasonable money. And the power of podcasting actually has more to do with conversion of any type than it does money. Money does not need to be the thing that a listener moves towards. It may be an email signup, a registration to your community’s forum or even just pressing subscribe. Money is just the way I often hear this conversation go and thus the emphasis here. Podcasting simply has the power to move people. That doesn’t mean you shouldn’t try new things like YouTube, blab, etc. to reach more of your potential audience. This will almost certainly extend that ceiling but don’t burn yourself out in a desperate attempt to try and find some magic number of listeners that you think will bring a bunch of money with them. Smaller audiences are actually an advantage that podcasts have. You can do more with less because you can serve a more specific group of people, engage with more of them and in turn build a relationship that is often much stronger than traditional media programming with ten times the audience size. But don’t forget this doesn’t mean that a podcast requires less work. In fact it’s the opposite, more often than not it will be much more work because you’re building a stronger relationship. In short, I think show intros should be shorter than longer and should serve the subscriber more than the new listener. People aren’t going to subscribe to your show because of the intro. They were interested enough to click play, don’t push them away by delaying the content. Get to the part they came for and if it’s good, relevant and delivers on it’s title, only then will the new listener become a subscriber. I don’t think you can make your intro short enough, myself included. I aim to cut even more of my front end info like show name and number in the interest of serving the subscriber who has to hear the same intro every episode and only really wants to get to the content. They created the 30 second skip button for a reason but it would be nice if you’re audience didn’t feel like they had to use it. Deliver intros less than 30 so that pressing the skip button means the listener will miss something they actually wanted to hear. Then you know you’ve got something good. Looking for a great media host for your podcast? Consider using Libsyn (my chosen host) or Blubrry (the two best, most reliable podcast media hosts IMO) and get your first month free when you use promo code: PODCASTHELPER at checkout. *all links should be considered affiliate links. Please read my ethics statement as it relates to products I link to. I only post affiliate links to products and brands I use and/or trust. Thanks for helping support this content!